I love playing with plants, flowers, leaves, kitchen scraps and found botanical items. 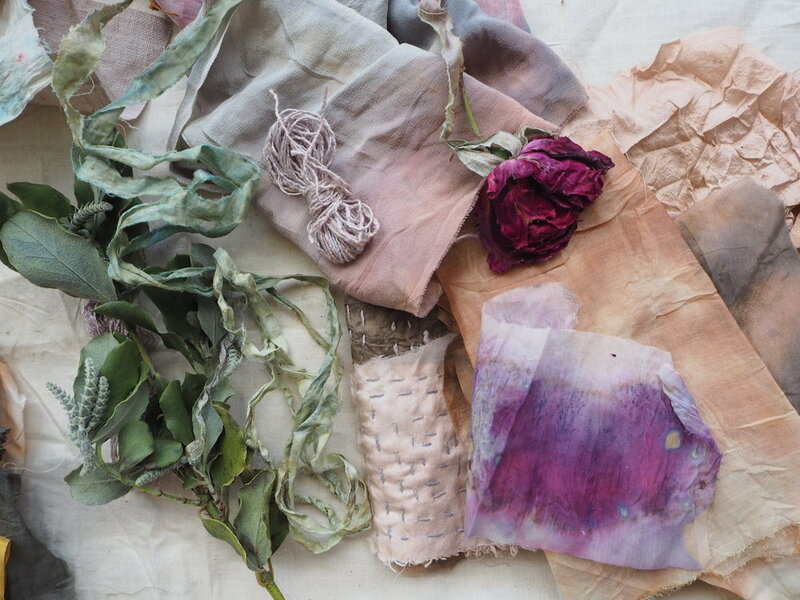 They create colour and patterns on fabric, yarn and paper, while also being quite meditative to work with. 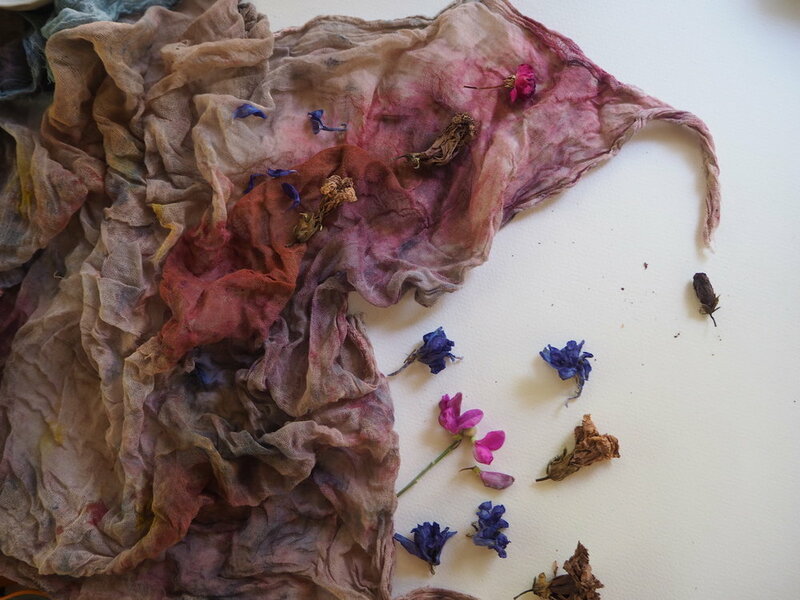 Read my blog posts here or have a look at my Botanical & Natural Dye online course, or Eco-Printing Nature Journal online course here. I also teach in real life workshops, where we can smile together about the colours we’ve made.